It was the year 2007 when a player other than Cristiano Ronaldo or Lionel Messi had his name on the wall of fame. Ricardo Kaka! Since then, there’s been no looking back for Messi-Ronaldo as the duo dominated the coveted trophy for over a decade. However, Real Madrid’s Luka Modric has broken the streak by winning the Ballon d’Or 2018! The result doesn’t come as a surprise for many as every one knows 2017-18 was Modric’s year. The Croatian led his team to their first ever World Cup final and won his third consecutive Champions League trophy with Real Madrid. Many fans do not agree with the result. They tipped Cristiano Ronaldo to be the winner yet again. Nevertheless, the result doesn’t change. 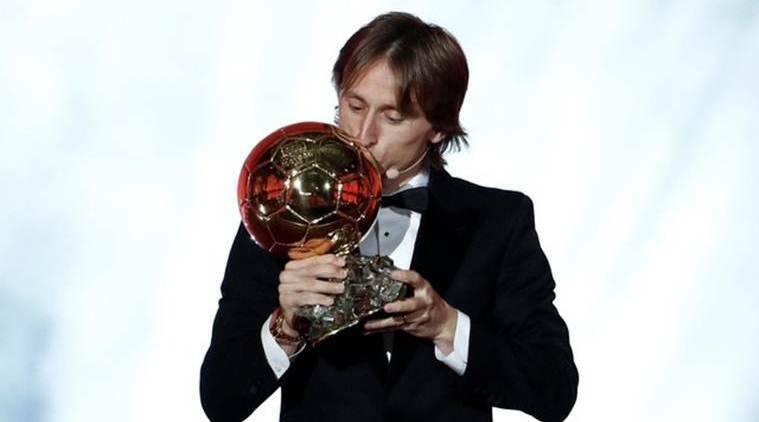 Luka Modric winning the Ballon d’Or sheds light on the fact that many players in the past got denied of the accolade because of Messi and Ronaldo who scored in mammoth numbers. Modric dedicated his award to such players— Xavi, Iniesta, Sneijder. He mentioned them in his speech. Moving ahead, the question is: Has the era actually ended? Forget everything, we know this one factor that Cristiano Ronaldo and Lionel Messi are the ones who never give up. Lionel Messi is back to his monopoly and wreaking havoc in La Liga after the departure of his rival. On the other hand, Cristiano Ronaldo’s form puts us under the delusion that he has been playing in Serie A since forever. This year, Luka deserved the award more than anyone. But ‘THIS YEAR’. Because it was the World Cup year. The anticipation is to know whether the duo would be back or is it forever the end of them? The latter has thinner chances though. Meanwhile, from being voted as the worst signing of 2013 to being voted as the best player in 2018, Modric’s story sounds like a fairytale.